AMA Sales, Inc. is a St. Louis based company which specializes in the manufacturing and sale of premium track pads. With over 30 years of experience, our expertise enables us to create quality track pads that are cost effective and long-lasting. 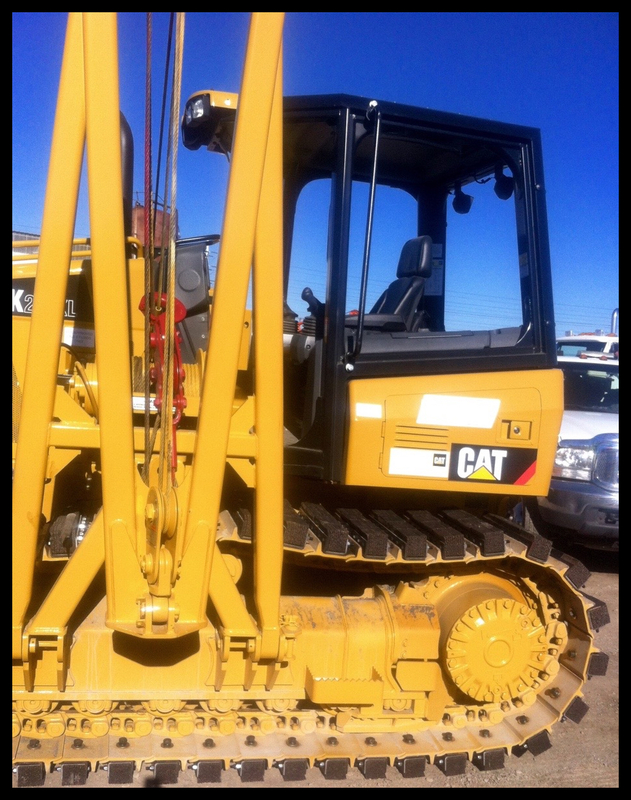 Excavators, cable layers, pipe layers, crawler cranes, dozers, and more! Whatever your track needs, we will work with you. Customer satisfaction is a priority. Fast shipping nation wide from our centrally located St. Louis base. AMA track pads are custom made . 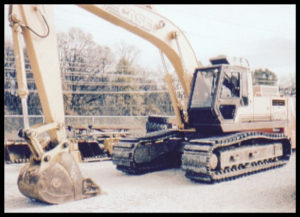 Width for single, double, or triple grousers vary from 12” to 36”, length is determined by the specific grouser shoe, and height is 4” tall to provide ideal padding. AMA track pads are created using select recycled tires for an optimal rubber quality. The inherent ply construction of the tire material gives good support and wear characteristics. 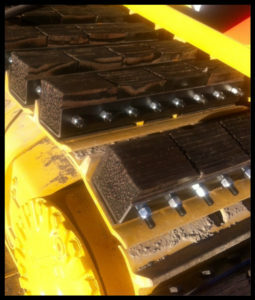 AMA track pads are retained in steel housing with hardened bolts to provide considerable strength. The pads use simple to install bolts which attaches directly to the existing grouser shoe. AMA replacement track pads are available if needed and sold separately. Track pads are 100% made in the U.S.A.